His name is Rafael Gustavo Guardia Juárez, the son of one of the most despised men in Panama, Rafael Guardia Jaén, former head of PAN. His father has stolen at least $18m, and we do know that his son assisted in moving at least $5m into banks in the Bahamas, taking several trips there, over a period of two years. The son, Rafael Guardia Juárez, also ran to the Bahamas, when his father was arrested, to insure that the "family fortune" was safe and secure. Where is the son now, you ask ? 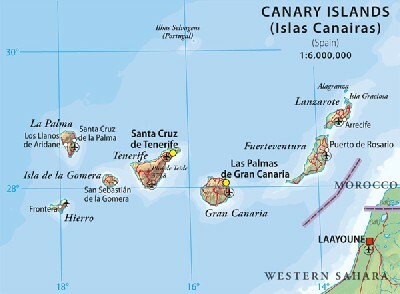 He has fled Panama, and is presently living large in the Canary Islands, specifically, Gran Canaria. He did not go empty handed; reliable sources in Panama indicate that he took with him two of his most valuable possessions, his Porsche Cayenne, and a full-blown racing Nissan sports car. Considering that Guardia Juárez was a designated consultant to a Martinelli government agency, when he moved his father's illicit cash, the Anti-Corruption Prosecutor should now be looking at him. And how could a known PEP, whose government position is easily located on the Internet, be allowed to deposit huge sums into a Bahamian bank, multiple times ? Were Bahamian compliance officers asleep, or was the lure of large accounts too good to pass up in Nassau ?